Transform your AK to allow the fitting of various devices, such as scopes, tactical lights, red dots and lasers etc. 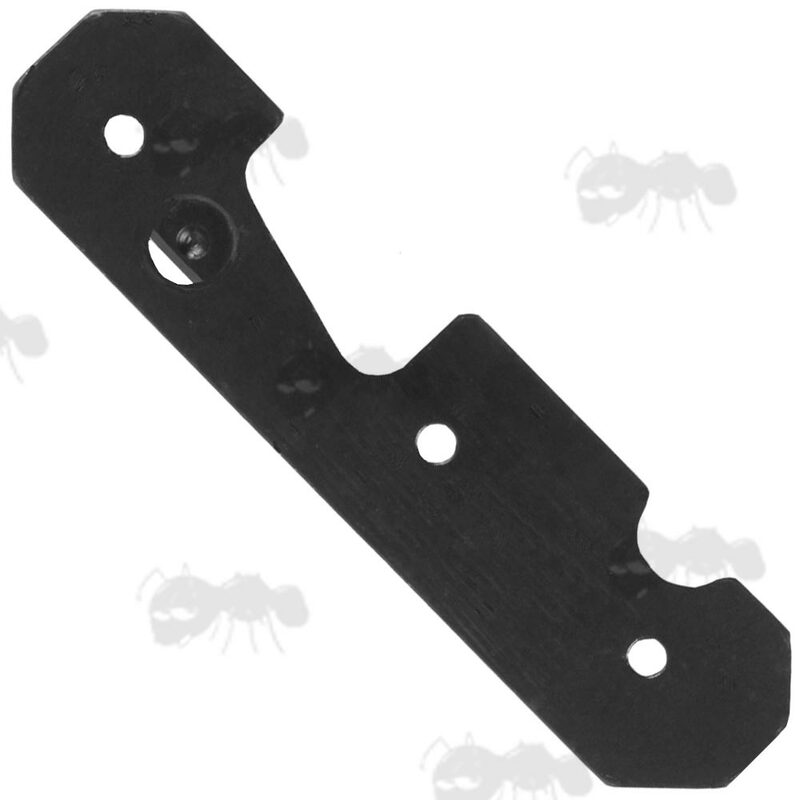 Also available ~ Side mounting AK rail brackets. 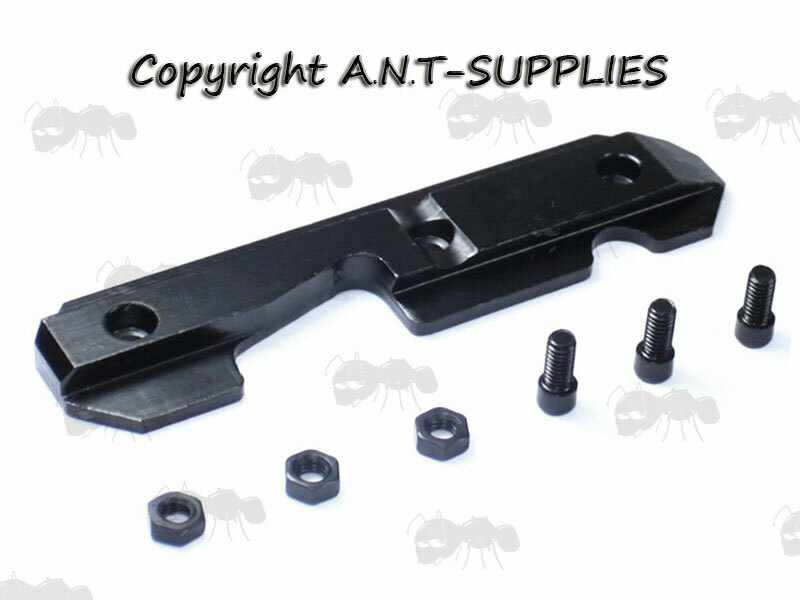 Designed for AK74, AK74M and AK100 series rifles. Transform your AK for the correct fitting of AK optics. 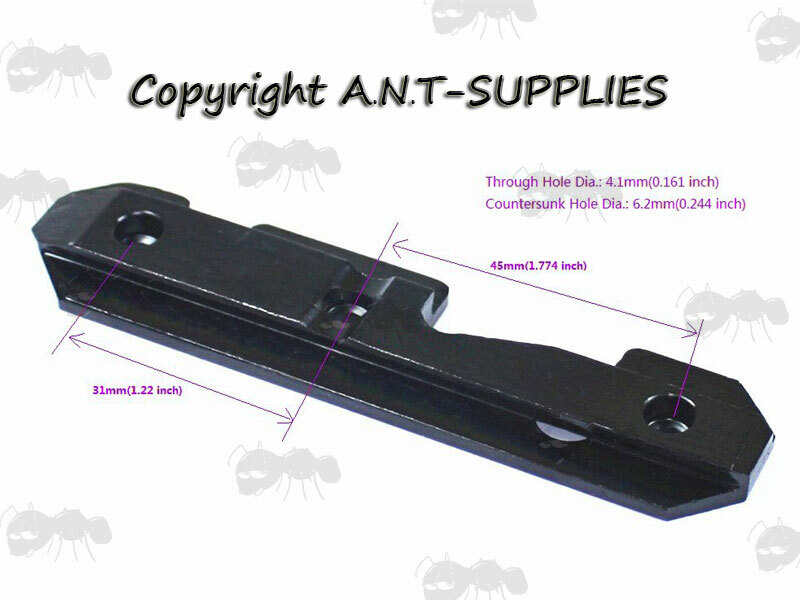 Overall length ~ 104mm (4.1 inch). Width ~ 25mm (1 inch). Weight ~ 68g (2.4 ounce). Length (hole to hole) ~ 45mm (1.77 inch) and 31mm (1.22 inch). Through hole diameter ~ 4.2mm (0.164 inch). Counter sink hole diameter ~ 6.3mm (0.248 inch). Fits both milled and stamped receivers. Accepts any of the European PSA, POSP Scopes with AK side mount fitted. Comes complete with nuts and bolts.